The holiday season is upon us – where has the year gone? During the last month and a half of the year, many of us are gearing up for a busy few weeks. But don’t let self-care fall to the wayside! Who has time to get sick during the busiest time of the year? Keep the following tips in mind this holiday season — your body and mind will thank you! Your chances of getting sick during stressful or hectic times will significantly decrease if you take time to prepare your body for the coming onslaught. The simplest way to keep your health up, your stress down and resist infectious diseases is to increase your “vital force” through consistent homeopathic constitutional treatment. Taking regular doses of ascending Q-potencies or LM potencies in the standard protocol can avoid the many antidotal factors of modern life. It’s great for general health maintenance, and it’s what we, your homeopathic practitioners practice on ourselves and our family members. Thanksgiving, Hanukah and Christmas fall right in the middle of flu season. Go ahead and start your homeoprophylaxis routine (that’s another word for homeopathic immunizations) using either the Influenza Mix 30C, Anti Cold-n-Flu 30C or the H1N1 nosode in 30C. Which one should I use? Experience will show you, which is best for you, most likely the Influenza mix or the Anti Cold-n-Flu will be best. For maintenance/Prevention: Take it either one dose weekly every week of the flu season, or 3 doses per day for 3 days every month of the flu season). Start this as soon as possible, if you haven’t already. 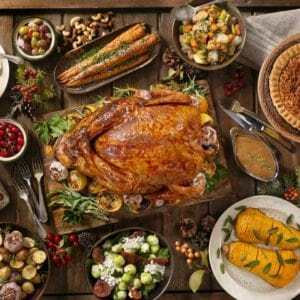 You don’t have to go on a restrictive diet during the season of indulgence. In fact, this can set you up for stress, guilty feelings (if you fail), depression and feeling left out of the crowd. Trust me, I know how ridiculous it sounds. When I was very chemically sensitive and my food sensitivities had just begun, I would feel like such an outsider. I harbored a little depression and grief when I couldn’t enjoy traditional favorites with my family. I still have some restrictions in my diet. But after years of homeopathic treatment, not only did those restrictions lessen, but my negative and irrational emotions completely went away. After all, you are still THERE with family and can enjoy their company…and if you can’t enjoy their company, keep reading! I have a solution for that, too! try to stick to as near to a 100% organic diet rich in fresh fruits and vegetables as you can. It a small amount of all foods. A greater variety assures better nutrition. never use aluminum or non-stick cookware. So if you have to eat at a household where none of this is possible, have some of the remedies on hand listed below! You knew we’d mention it…here goes: your exposure to wireless technology. Wireless technologies expose you to microwaves. Microwaves from many devices, cellular phones, WIFI, GPS, cordless phones, DECT phones, etc, can weaken your immune system and cause systemic abnormalities. Additionally, a study lasting more than 10 years, was just published finding the radiation emitted by 2G and 3G phones caused cancerous brain and heart tumors in male rats! 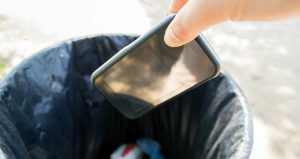 Yet another reason to limit or even totally discontinue using a cellphone. Many other studies have found health complaints from cell phones. 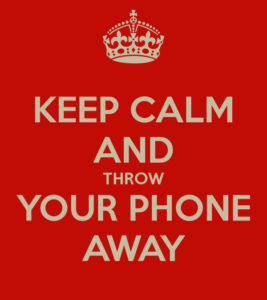 Practice being present by keeping cell phone usage to a bare minimum. That also extends to gaming systems, e-readers, WiFi, Bluetooth… the list goes on. Buy a faraday bag to store your phone in while not talking on it. The holidays are the perfect time to go offline and back to the basics. So, the next time you find yourself wanting to browse the net or watch TV to pass the time, why not take a walk with the family? With the days getting shorter, you should be taking every opportunity you can to get outside and take in the sun’s rays, which increases your Vitamin D levels to ward off winter depression, boost your immune system and increase your heart health – the kind of recharge that only Mother Nature can give you! Nux Vomica – Overindulge in food or alcohol, heartburn and/or drowsiness that comes on after eating a normal meal, or a large meal. Belching. Constipation from travel. Mentally, Nux-v is good for overstressed, overworked folks sensitive to noise or other stimulus, very critical. Can be very helpful for when you feel poisoned or sick from something you ate. Okoubaka – Perhaps even more effective than Nux-v is Okou for when you eat foods you aren’t use to and feel sick after. This applies also to toxic foods and beverages. Great for food poisoning if Ars Also, if you have food allergies. Sluggish feeling of the whole body and digestive tract. Dissatisfied with everything. Emotionally negative and easily hurt and withdrawn. Arsenicum album – Great for diarrhea from the fly. Also for food poisoning, especially from bad meats or fish. Anxiety and stress, worry for no reason. Nervous people who worry about family members health, who just drove by on the street, etc. Moving from place to place. Fastidious and fault finding. Also, keep in mind for many colds with profuse running discharge with an increase in thirst, esp. with craving for hot liquids. Staphysagria – Tensions can be high when a lot of family is in a small space for extended periods of time. A supply of Staph is a great line of defense to prevent tense situations from escalating during a gathering! It’s known to soothe indignation, suppressed anger and toxic “victim” mentalities. Kali bichromicum – For people who experience chronic sinus trouble or just excessive ear pain during air travel (due to the sudden changes in air pressure), Kali-bi can aid in opening up blockages in the Eustachian tube that cause uneven pressure on the eardrums. Great for crusts in the nose! Cantharis – Cantharis is a highly effective remedy for burns and blisters. First line defense for urinary irritations or suspected urinary tract infections with burning, retention of urine, frequency of urine and urgency. Lycopodium –it’s the most commonly indicated remedy for constipation and gas. Good for constipation from travel. Mentally Lyc is hypersensitive to criticism, defensive, in denial, judgmental, a bully and has difficulty listening for someone to get to the point! Anxiety in the morning or anxiety from having to do a new task or go somewhere new. In fact, if you have someone who hates going to new places or to see the in-laws cause they don’t want to leave their “safe-space” or their comforts, give them a dose of Lycopodium the day before and the morning of… it can really help! Arnica montana – To soothe the dull soreness and general discomfort and fatigue that comes along with plane travel, keep arnica montana pellets in your carry on and take a few doses as needed. Also for bumps bruises and contusions. First remedy for a car accident! WHEN TREATING FAMILY AND FRIENDS, ONLY USE REMEDIES FROM YOUR FAMILY KIT IN THE 30C POTENCIES. 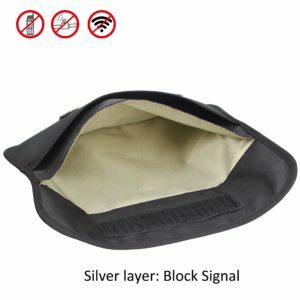 Use a faraday bag which offers near complete protection from the effects of EMFs and microwave radiation! Happy Holidays! And Good luck!